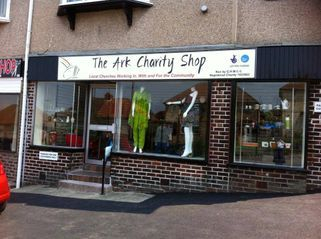 The Ark Charity Shop is based in Bradford, West Yorkshire and has been open for over 20 years. We have 3 main aims at The Ark, working in, with and for the community. We work IN the community by providing extremely low cost goods to our customers, helping many who are on low wages or benefits. We work WITH the community, by offering 4-8 week full time work placements for unemployed people of all ages, giving them a chance to work in various roles to gain as much experience as possible. References are available to all volunteers that successfully complete these placements, and many volunteers continue to volunteer with us after their placement once or twice a week. We work FOR the community by offering grants of up to £500 for charities, clubs, groups, projects, and other non for profit organisation in the Girlington, Heaton and Manningham area. There are a number of loyal volunteers that work hard in the shop to keep it running. We sell a various items, all of which have been donated. For more information on our volunteers and the items we sell in store please click on 'The Shop' in the navigation. For more information on these grants or how to apply please click on 'Grants' in the navigation. The shop is run by the Girlington, Heaton and Manningham Council of Churches. For more information on this please click on 'Council of Churches' in the navigation.